The Maax Urban 6636 is a trendy symmetric jetted bathtub with an urban, minimalist style. 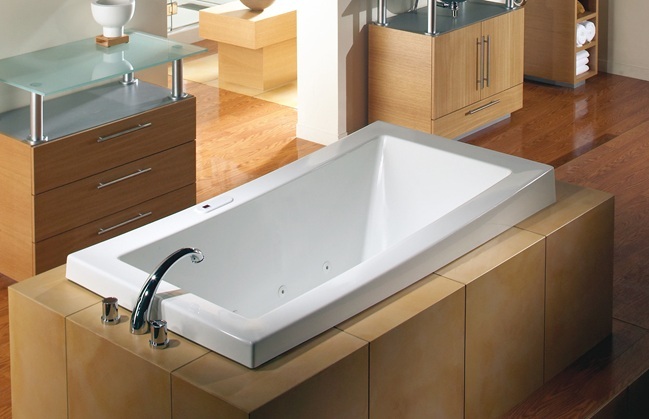 This jetted tub is equipped with a revolutionary new filling method and a cascading waterfall. The pure lines and simple form of the Urban 6636 bathtub add flare and sophistication to any modern bathroom. Call 800-720-1062 for more details.